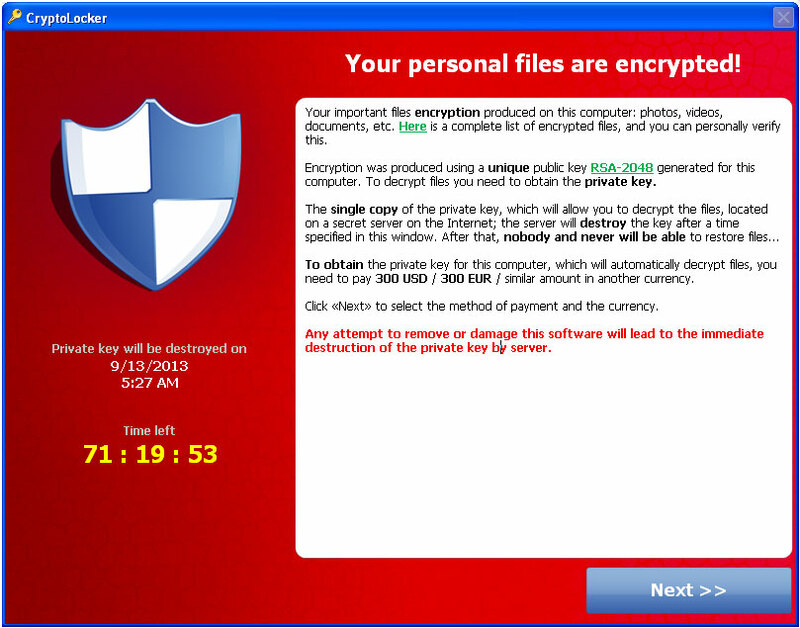 Antivirus companies are now working to combat CryptoLocker and similar ransomware programs. CryptoLocker is most often spread through booby-trapped email attachments and by malicious web sites by exploiting outdated browser plugins. Once the program launches, it detects the personal files of the user and wraps them in strong encryption, demanding a $300 ransom to decrypt the files. Windows XP's screenshot... now that makes sense.